Wet plate negative by William Morris Smith. July 1865. 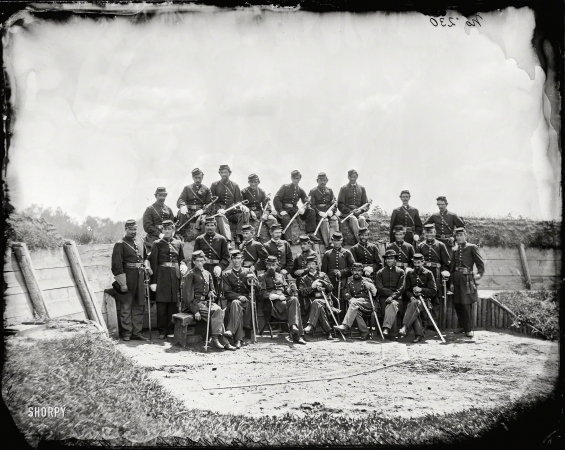 "Col. William Telford and officers of the 50th Regiment Pennsylvania Infantry at Gettysburg."